Gold-leaf wrapped ice cream cones have been a big hit on social media in Japan, Hong Kong, and Singapore over the past few years, but we haven't seen the sparkly treats take over Instagram Stateside—at least, not until now. This Friday, February 23, Snowopolis in Anaheim will launch a 24 karat gold leaf-wrapped soft serve ice cream, delivered to guests in pre-sprayed-with-24-karat-gold-dust waffle cones. Located at the Anaheim GardenWalk, just a stone's throw from Disneyland, Snowopolis is a conveniently-placed walking-distance pit stop after a long day of theme-parking. 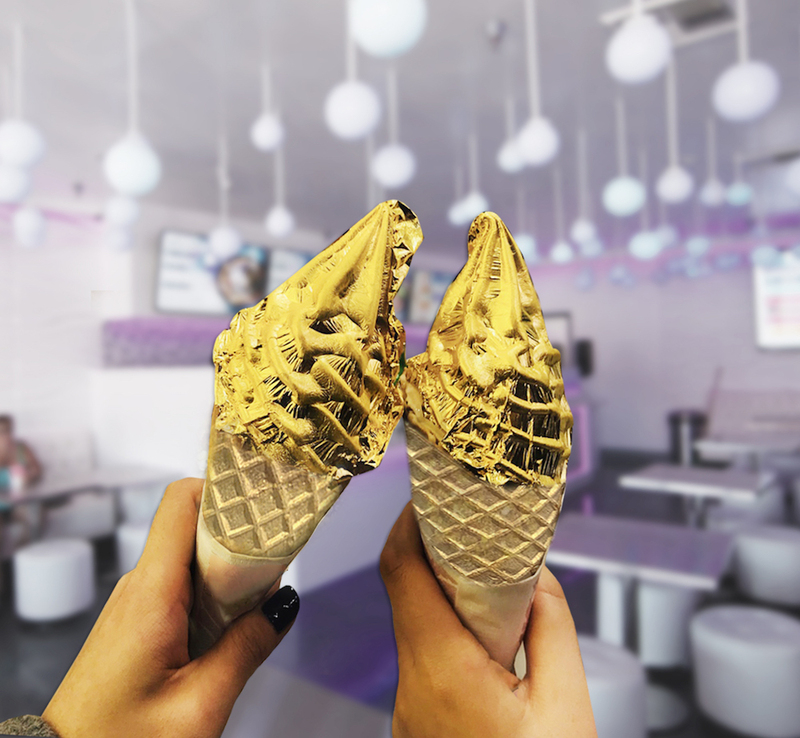 And while the golden dairy refreshment may look and taste rich, it's a snip—priced at $14.95 a pop, which is, like, totally worth it for the 'gram. P.S. Don't worry too much about eating the 24 karat gold leaf, it's totally fine.